Being a teacher has so many perks, one of those being a much needed break in June and July! Even though I'm not surrounded by a classroom full of kiddos for these two months, I am still working almost daily on something for work. Whether it's lesson plans, getting back to school things ready, or buying supplies I am constantly thinking about my classroom. Last week I was able to find some really great additions to my classroom that I wanted to share! Bennett and I have been frequenting Target almost daily to escape the heat and have something to do. While we were there one day last week they were unboxing the new dollar spot stuff. I knew immediately that it was the back to school items so we walked around the store forever waiting for them to unpack! I actually had to go back two additional times that day because they kept taking breaks from unpacking and it wasn't all out until later that night. 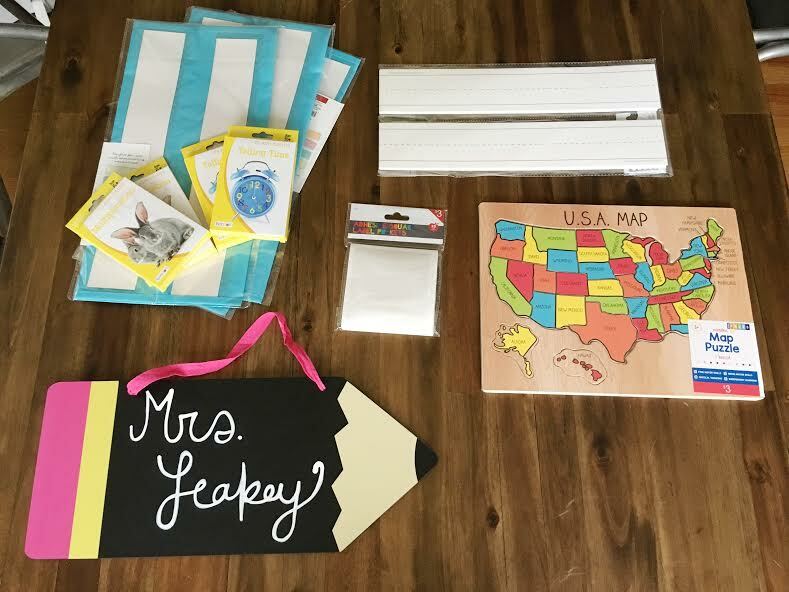 I was able to pick up a pencil chalkboard door hanger that I wrote my name on, a few pocket charts for vocabulary or centers, adhesive label protectors, telling time & multiplication flash cards and a U.S. puzzle map for a co-worker. 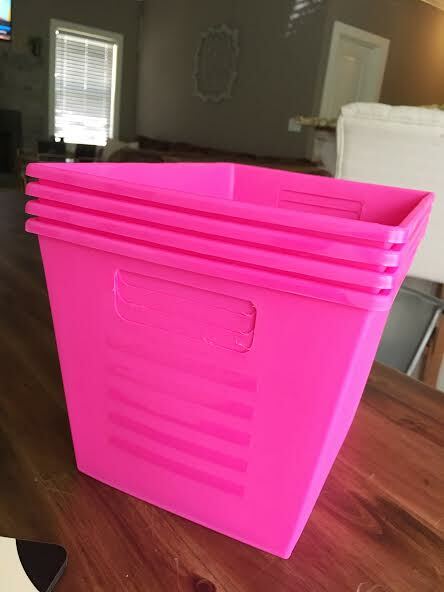 That same day Bennett and I also went to the dollar tree and I found these cute baskets. No idea what I'm going to use them for but I'm sure I'll think of something! I have been eyeing this photo storage from Michaels for sometime and it finally went on sale (40% off). I am going to use it for task cards. 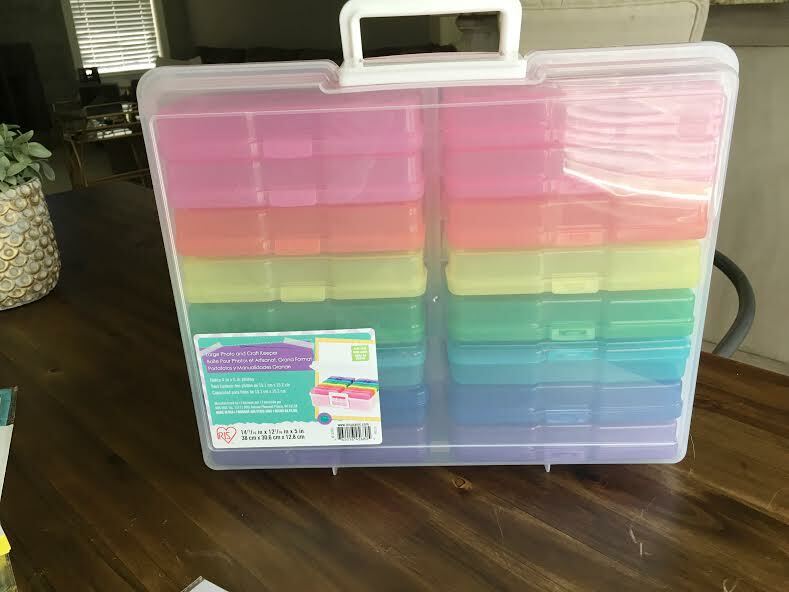 I think it will be much easier for the kiddos to access when they are organized and labeled in this box.